currently stands is incredible detrimental to the health of the environment. Unsustainable food has been contributed to large scale erosion of topsoil, air pollution, water pollution, soil pollution, and the undermining of genetic diversity. There are a few things that you can do to make a positive impact on the environment without forcing you to completely change the way you live and eat. It’s true that organic foods are always significantly more expensive, but if it is within your budget, you should try to buy organically. Organic food allows you to avoid directly funding a system that actively pollutes the environment. 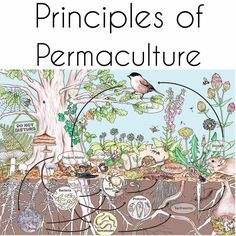 Production of organic food must follow certain standards to create and maintain a balanced eco system. Organic vegetation does not contain any man-made pesticides, antibiotics, or fertilizers. Organic meats come from animals that are not fed any growth hormones and are not fed anything that contains less that 95% organic ingredients. The unfortunate reality is that seafood is often caught through highly unsustainable means. Many times, the fishing process destroys the ocean habitats (most often by damaging the sea floor.) The most common problem is overfishing, where fishermen catch populations of sea animals more quickly than they have time to reproduce. Try to find supermarkets or grocery stores in your area that sell sustainable seafood. One great rule of thumb is to try to use as much of the food you have in your home as you can before you go out and buy more groceries. Another great solution is to try to make the foods that you usually buy in packages. The internet is full of easy DIY recipes for foods like peanut butter, nutella, jelly, and a whole host of other items. As I mentioned in part one of this list t it’s really important for the health of our planet for people to become more aware of the effects of their eating habits. Eating sustainably doesn’t have to be a complete upheaval of your lifestyle. Below, are a few more tips to eating more sustainably. This is one of the easiest ways to guarantee that your food is organic; you have full control over the way that your food is grown. 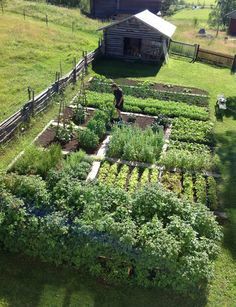 Many people overlook this option because they don’t have access to a garden or a backyard. But, a windowsill is more than enough space for a small herb garden. 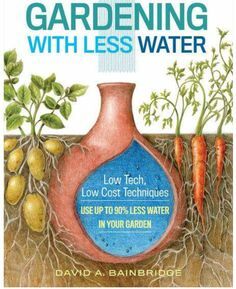 Every little bit of home gardening helps There are plenty of resources to help you grow food from your apartment. Water bottle production is incredibly bad for the environment. Water bottle production is linked to the consumption over 1.5 million barrels a year. The transportation of that water is linked to four thousand tons of carbon dioxide emissions. Tap water in America is run through several filtration processes, but if you want to take extra precautions, you can always purchase a filter for your tap. Most people are under the assumption that food breaks down in landfills; that is not the case. Landfills are designed to keep trash dry and away from the air, so even biodegradable items stay intact. You can do you part by saving your food scraps and starting a compost system at home. It may seem unappealing, but there are many options that will make your compost experience smell and stress free. Start buying your food in bulk instead of smaller, more frequently purchases packages. If you do need to buy smaller items, try to find groceries with recyclable packing (reusable containers or bags). Bonus: Buying in bulk is also a fantastic way to save money.